On Christmas Day last year, work officially started on the China-Laos high-speed railway, a major engineering feat snaking from Kunming, in China’s southwestern Yunnan Province, to Vientiane in Laos. Laos and Vietnam recently discussed a construction project for an oil depot and pipeline connecting Vietnam’s Hon La Port to Khammuan Province. The Ministry of Agriculture and Forestry has set this year’s target for dry season rice production lower after the country’s rice farmers failed to meet last year’s mark. The establishment of Special and Specific Economic Zone (SEZ)s and untapped tourism potential is expected to drive economic growth in Champassak province, a senior official has noted. MMG Lane Xang Minerals Limited of Sepon has contributed over US$1.5 billion to the state revenue of Lao PDR since it began operating in Laos. Lao National Assembly Chairwoman Pany Yathotou and Vietnam National Assembly Vice Chairwoman Tong Thi Phong co-chaired the event, which demonstrates the role and duties of the two countries’ legislatures in State management. Three Lao workers arrested last year for criticizing their government on Facebook while working in Thailand are still in custody with no resolution of their case in sight, prompting calls from friends and human rights groups for their release. The fourth Vientiane Capital “One District One Product” (ODOP) exhibition will be held between May 27 and Jun 1 at the Lao-ITECC in Vientiane Capital, a press conference was told in Vientiane Capital last week. The annual Vientianale International Film Festival will fall on Mar 22-26 with an exciting and diverse programme of 40 feature and short films from 25 countries, including award-winning productions. 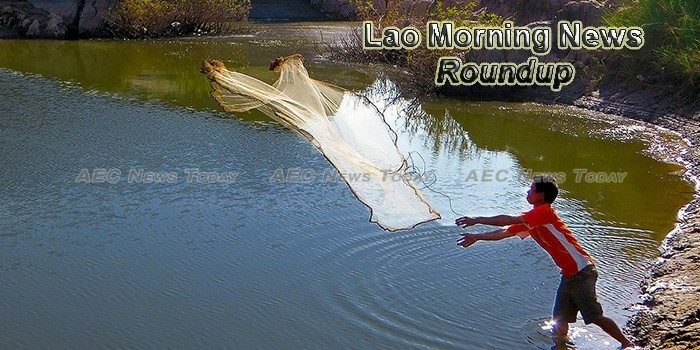 Vientiane authorities plan to manage and develop the Nong Taler in Naxaithong district to be a tourism attraction after some sections of shoreline were illegally taken by local residents. A Vancouver man with family ties to the B.C. Interior is being remembered online after he was found dead in Laos. A new satellite office of the University of the Ryukyus, Okinawa Province, Japan was officially opened at the Setthathirath Hospital in Vientiane Capital on March 3.